On our way west again we tried to do day-hops, resting at night, and sailing by day. Astipalaia came highly recommended by friends. We found it barren and boring. It was, however a good anchorage. 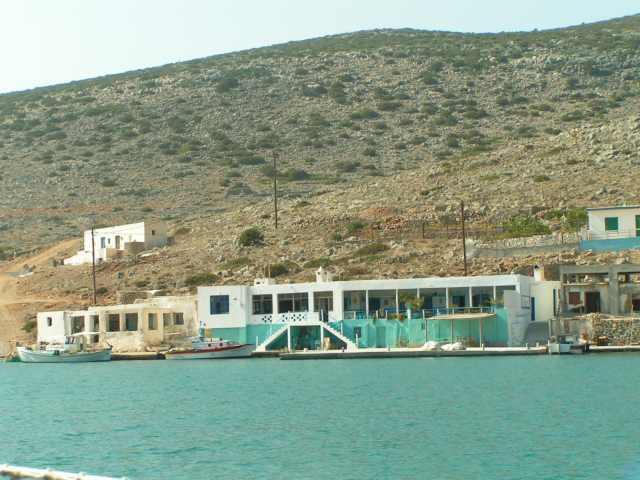 We cannot comment on the whole island, as we only saw Ormos Vathi, where we anchored. This is the centre of town, the cantina.